CIA operatives Max Wayne and his brother Tom race through Europe and the Middle East to avenge the death of Tom's girlfriend. It's do-or-die to get payback and stop a deadlier attack before it reaches Times Square on New Year's Eve. Alex Brandenburg: SEAL Chief Petty Officer and Outcasts Team Leader. Disobeyed direct orders by refusing to let a deadly terrorist live to kill another day. Francisco “Pancho” Rodriguez and John Landry: SEAL Petty Officers First Class. Took the pursuit of justice into their own hands with explosive results. Catherine “Cat” Fares. 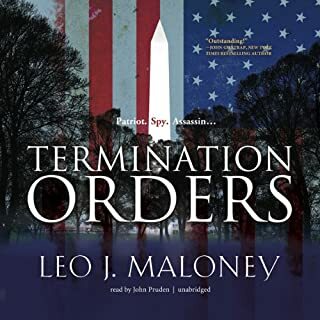 I waited to start this book until it was released last week on Audible. I finished it last night while driving around my neighborhood because I simply couldn't stop listening. There are so many things that are right with this book that it is difficult to find a place to start. Here are a few that really stood out for me. - In the same way the experience of battle is developed in such understandable detail, the character development of the primary character in this novel is DEEP. You really get to know this guy. He is surrounded by a series of characters that are believable and interesting, each in their own way. I can put a name on each one of these people from someone I know in the Teams, SOG/SAD, or CAG. 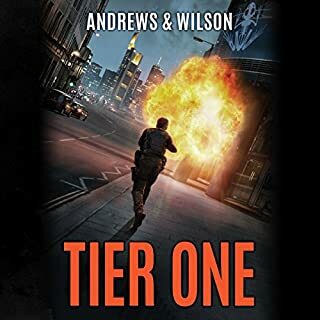 It reminds me of the best of Vince Flynn and John Gilstrap in how he captures the interactions within the warrior brotherhood. - I mentioned this previously, but it deserves its own point. The author's willingness to explore the internal conflict of someone who holds himself to the standard of being a man of God, yet has a past, and a talent, that leads him back to the very dark world of men that hold themselves to a different standard of evil. I kept trying to find a comparable author, book, or character to what I experienced while listening to this story and there simply isn't one. It is that good. It is kind of like The Last Jihad series by Joel Rosenberg in that it deals directly and fearlessly with the challenges a man faces if he is to lead a life in accordance with his faith. At the same time, it is not a book about biblical prophecy. It is, however, a story of good versus evil, and of men and women who are willing to step up to face down that evil, up close and personally. I join others in hoping this starts a long series around this character, Chris Paladin, and his cohorts Hannah and the irascible Sonny. Great job, Stephen! Thanks for the great ride and for using your talent and experience to spin a tale that was unpredictable and that moved me at the heart level as I read it. Action-packed Story with Naptivating narration! I will absolutely recommend this audiobook to all my friends. Narrator, Brian Troxell, is a perfect choice - he has an amazingly smooth, yet gruff timbre to his voice. The storytelling is suspenseful and Brian quickly engaged me with an incredibly deep and conflicted main character. There is awesome attention to detail and the author, Stephen Templin, doesn't just write a story, he brings you into the experience. The pace was a fast, action-packed, thrill-ride! The attention to detail and the narration of this book had me feeling as if I could touch, taste, smell, and experience the fear and conflict of the main characters. It's a story about warriors who are battling to remain true to a profession and a faith. I loved the ear-chewing scene wherein Mordet jumps Chris and gnaws his ear half-off, but I was also captivated by the mountain scene, as the trio climbed, crouched, and crawled through a gully towards Syria. It's hard to pick a favorite scene because the book is filled with so many complex adventures throughout. This is a stimulating audiobook that engages your imagination and should definitely be on your "to listen to" list! 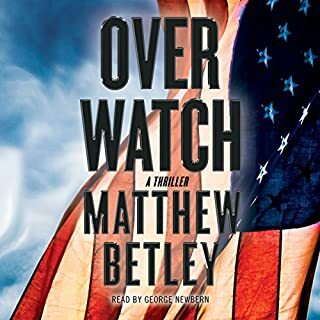 Fantastic sound and pacing on this audiobook and a wonderful choice to have Brian Troxell narrate! I'd love to see this on the big screen one day! Would you listen to Trident's First Gleaming again? Why? Yes. It was exiting and fast paced. Mordet. He was a well written villain. The scene where Paladin is fighting Mordet and gouges out his eye. I enjoyed this story. It was interesting and exciting. The attention to detail was impressive and the way Templin handles internal struggles is real and powerful. I really loved listening to Brian Troxell narrate. His tone and pacing were appropriate for the story and I think his character voices were strong and distinct. I especially loved the way he voiced Mordet. The first Thriller genre book I am not finishing. The story is disjointed with large gaps in the storyline, the religion piece is just too much, too frequently, the narrator is monotone and dry, and this is the first book of this genre I am not finishing. I am about half way through it and still find myself reluctant to listen, which is the opposite of the typical situation. If you have other books on your list, I recommend going there. I am a big fan of espionage, mystery, and detective thrillers. I appreciate and enjoy a good action story with well developed characters and lots of action - this book has it plus a new perspective. It was interesting to listen to the internal compos and struggle of apparently competing vocations that of a minister/preacher and a soldier, yet I am sure that our military men and women don't have to be 'of the cloth' to feel these same struggles. Don't let the vocational twist however distract from the fact that his predominately an espionage story with the usual bad guys, betrayal, money and action scenes. I am looking forward to the next installment in this story. I found the narrator did a good job. Chris Paladin is a member of Seal Team 6 until a mission makes him question his life choices, he leaves the team to become a pastor, something he is very good at. Until one day CIA operative, Hannah Andrade shows up at his church and asks him to consider going back into military action, she has a special mission and needs Chris and his skills on her team. With the threat of failure meaning the U.S. may face a cyber attack of epic proportions, Chris is left with no real choice, he says goodbye to his church and once again heads into the chaotic life of a military man, all the while fighting his inner demons of events he would much rather forget. 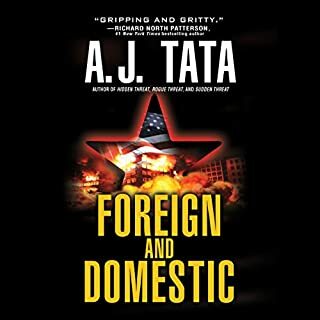 If you like military thrillers this audio book is definitely for you. 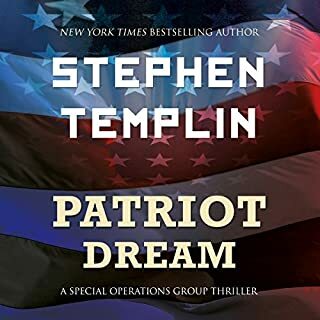 Stephen Templin has crafted an action packed thriller. 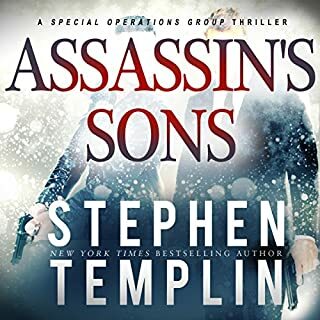 The military aspects of this audio book are so detailed it’s easy to understand that Stephen Templin is writing from experience, it definitely shows through and enhances the story. The only negative for me personally was that I felt one particular part of the storyline was mentioned a little much, not enough to stop me from listening to it again – I just felt like it was reminding the listener incase they forgot because it is a big part of the character’s storyline, I hadn’t forgot so it felt a little too much, but with that being said I will definitely be looking for more audio books from Stephen. Brian Troxell does a great job of grabbing the listeners attention and keeping hold of it for the length of the audio book. At times I felt like I was surrounded by enemy combatants and all hell was about to break loose, it was fun to get that immersed in the performance. The production was seamless. 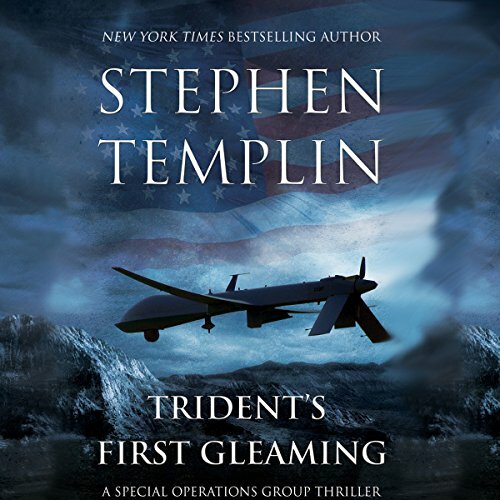 Would you consider the audio edition of Trident's First Gleaming to be better than the print version? Theses are my kind of books, im still listening and has you hanging all the time. I got up and was telling my wife about this. I would recomend this and the rest of the collection.